I don’t consider myself a cross-country runner. I’ve always been more at ease on the road, more sure-footed when I don’t have to worry about rabbit holes, grasping thorny hedges and routes mangled by tractor tyres (a sure fire way to get me turning the air blue on a run). Each time I’ve done the Ely Runners Christmas run I’ve stacked it with considerable flair, and have found the terrain really bloody tough. So why, dear reader, did I agree to sign up to run the National Cross Country Championships at Parliament Hill? Because I am a blithering idiot who gets swept up in the enthusiasm of others. Plus the blighters got me at a weak point. 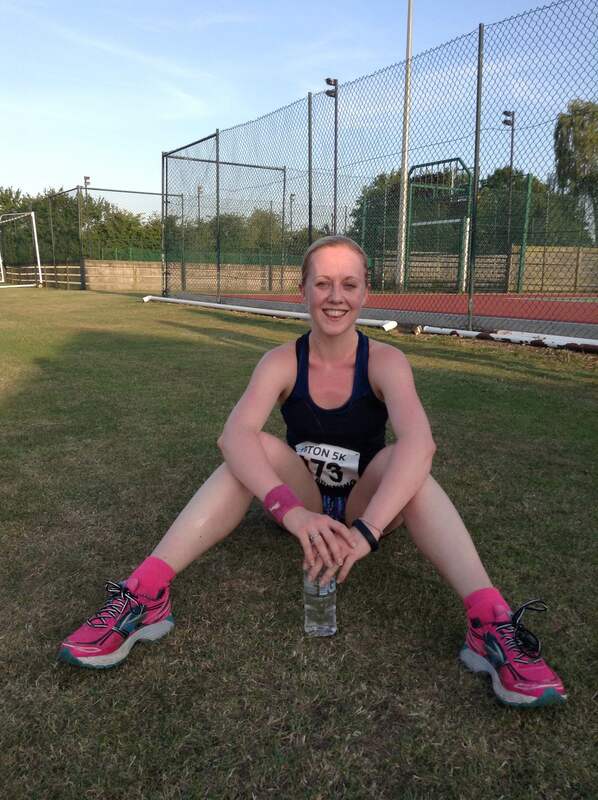 At the start of the year I knew that the Cambridge Half Marathon was going to be a no go – getting back up to 13 miles was just too much pressure to put on me and my foot. But a 5 mile trot around Hampstead Heath? Well that sounded just peachy. I knew I was in trouble when I told my sister that I had signed up to the race and she laughed. When I told my coach he looked genuinely concerned. Naturally neither of these reactions filled me with confidence. And then in the days leading up to the run I stupidly clicked on links people were sending me of videos of the race, which basically showed a never-ending swell of runners taking what seemed like FOREVER to power up the boggiest incline you ever laid eyes on. In the end, I forced myself to buy my train ticket to London 5 days in advance as I knew I’d be far less likely to bail if I’d already spent £20 to get there. After a rather convoluted train journey to London on Saturday 24th February (thanks to engineering works on the line that added nearly half an hour to our journey) we ended up reaching the event a little later than we had planned. Add to this the hunt for the registration tent, the need to change into trail shoes (don’t even get me started on the runners who asked me if I had spikes – of course I flipping didn’t. I couldn’t have been more clueless about this race), and the queues for the toilets, and Celine, Beth and I found ourselves with 3 minutes to get to the start, whilst frantically trying to pin our numbers on. Huge thanks to the fellow runners who helped us as we fumbled with our safety pins whilst simultaneously telling us over and over that we were going to miss the start. Talk about giving with one hand and taking with the other. Whilst Beth powered to the start (the girl is an epic cross country machine), Celine and I made it with seconds to spare, and I was still tucking my shoelaces in as the klaxon went. I had been advised by various sources to wrap duck tape around my shoes, but there was no way I would have had time for that. As it happens people are split on whether taping shoes is a help or a hindrance, but I was extremely nervous that I was going to lose a trainer as we set off up the hill right at the back of the pack. And so I started what was without doubt the most bonkers run of my life. That first hill NEVER seems to end, and being at the back makes things even worse as you try and dodge the crowds and their pointy elbows (more than 1100 runners took part in the senior women’s event). But that hill isn’t even the worst bit, because then you enter the boggiest pits you’ve ever seen, interspersed with a gajillion inclines of varying degrees. By the end of the race my Garmin had clocked more than 60 flights of stairs. It’s a full blown mudbath and apparently it wasn’t even all that bad this year. The course is so unutterably bonkers that you just have to go with it and pray that your trainers don’t get sucked into the real life bog of eternal stench*. At around mile 4 I really thought that I was going to keel over and earn myself a free mud facial. I told myself that I would never, EVER do this again and when I hit the final decline and saw the finish line in sight I seemed to summon all of my inner demons and powered to the finish. And then the weirdest thing happened. After we had all completed the race Celine asked me if I would do it again. And I said yes without even skipping a beat. Despite how much my legs burned, and how exhausted I felt from the extra muddy weight on my feet and the effort of having to lift my knees higher than I normally would, I had actually seriously bloody enjoyed it. Part of it may have been the sheer joy of running again, and the fact that the weather couldn’t have been better (would I have been so chipper a week later running whilst being battered by the Beast from the East? ), but I just loved the challenge. It felt like I had been part of something really special, and next time the run takes place in Parliament Hill I’ll be sure to tie my shoelaces a little tighter, get to the start in plenty of time and maybe wiggle a little closer to the front. Because the competitive arse in me is steaming that I got 40:03, just 4 seconds off getting a time starting with a 3. And in case you’re wondering, no. I still haven’t cleaned my trainers. * If you don’t get this reference, go and watch Labyrinth and educate yourself immediately. I can’t believe it’s been a month since the Kevin Henry 5k League season finished! In the past this set of races ran until the first Thursday of September, but this year they compressed it into 5 months instead of 6. 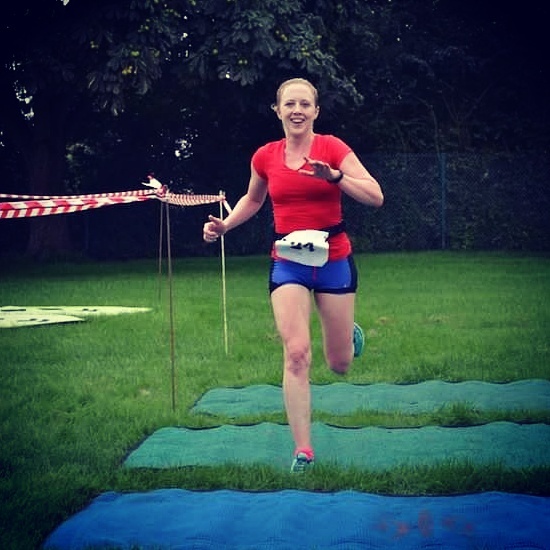 At the time I was pretty unhappy with this as it meant that sometimes there were only two weeks between races, and as someone who gets quite wound up in race situations (ahem) it felt like my stress levels remained consistently high. But I love racing 5ks once I get going. Yes it can be really tough to sustain that “faster-than-is-entirely-comfortable” pace and to get used to that burn in your chest and the ache in your legs, but I love the feeling that floods your body after a fast 5k. I just don’t get the same runners’ high from other race distances. I was nervous about how the season would go. Since changing jobs my training regime has changed considerably. My regular lunchtime track sessions have gone out of the window (which I really miss), and I’ve shifted my evening focus a bit more to working with our junior runners. So at the start of every race I was armed with a decent set of excuses (like I usually am pre-race) and I kept telling people I wasn’t as fit as last year. Of the 6 races, Newmarket is the one that I stress about the most mainly because they don’t have toilets on site, something I’ve complained about before. They’re nearly 1k away, which when you’re a nervous pee-er, is simply not good enough (in my opinion) so I always start that race in a really stressed out state. 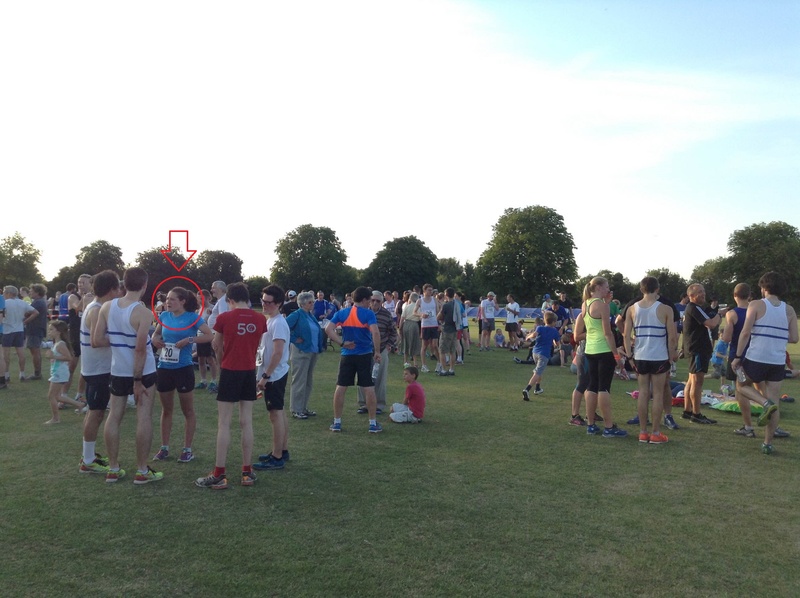 It was also a warm evening, and I tried to keep up with an Ely Junior who had finished just behind me at the Ely race. As it turns out he was massively slacking off at Ely as he smashed Newmarket in 20:00 minutes dead and completed the last race of the season in 19:17. Blooming hustler. The moral of that story is to run your own race, not someone else’s. The one I’m most proud of is Haverhill. Regular readers of this blog might remember last year’s meltdown but this year I dug deep and managed to pace it just right. I was a little disappointed at first not to have dipped under 21:00, but I soon managed to put my rational thinking cap back on to realise that to have taken 47 seconds off a 5k was utterly brilliant. As for the last race, I turned up to it completely exhausted. I have a little too much on my plate at the moment (all my own doing) and I was just running on empty. But I wanted to try and end the season having done all 6 races, so I was going to run it no matter what. 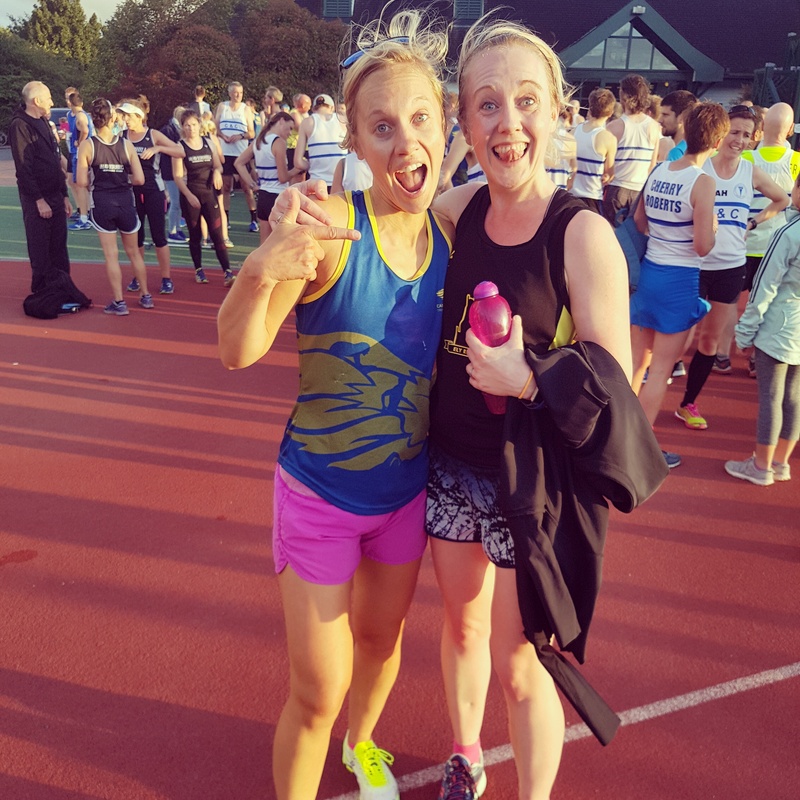 Thankfully I happened to bump into Lauren Bradshaw fresh from some mental marathon, and she said her legs weren’t feeling too hot either, so we agreed to run together and aim for something like 21 minutes. Her famous last words were “you’ll have to drag me round”. Did I heck. The absolute speed demon shot off, chatting to fellow runners on the way as I struggled to settle my breathing. The first 3k were really hard. I didn’t want to let Lauren down by slowing up as I knew she’d want to be loyal and stay with me, so I just tried to focus on my breathing as much as possible and not let the panic in my chest rise like it did at Newmarket. The headwind was also really unhelpful, but I kept having to remind myself that I’d be grateful to have it behind me on the final 1k. On the last 300m around the track I could suddenly hear someone thundering behind us. No way was I letting Lauren work that hard for us to be beaten on the line so I sped up and she responded and I finished just behind her. At first I thought I might have gotten a PB but it turns out that I was 12 seconds off it. So the 2015 5k PB still stands but you know what? That was a stronger season than I could have hoped for, and next year I can aim for that sub 21:00 Haverhill race and maybe even sneak that PB. * The C&C race had Lauren in the position behind me, but she definitely finished in front of me so I’ve put the times she was given. 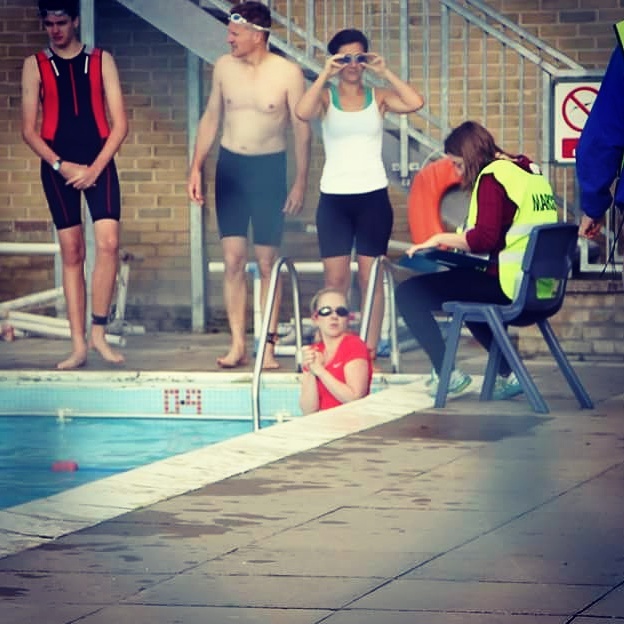 There’s nothing quite like an epic panic to start off your first ever triathlon. So in the lead up to the Ely Sprint Tri I’d been pretty blasé about the whole thing, leaving it until six weeks before the event before practising my swimming for the first time in two years (give or take the odd spa day splash around here and there) and I didn’t open the race guidelines email until two days before. I think it was two parts denial, one part trying to resist putting too much pressure on myself. Because let’s face it, I am hyper competitive, especially with myself, and if I read too much about the race I would start looking at ways to be THE BEST I CAN POSSIBLY BE which is fine with a bit of experience but I think a little unreasonable when I don’t even know how to transition efficiently. For crying out loud, I didn’t even know what a transition MEANT until about a month before the triathlon when my friend Helen (who lent me her race belt) filled me in. What the hell is a race belt? Then two weeks before the triathlon, my amazing best friend Michelle piped up that she had a tri bike that had been sat in her shed for a couple of years, and that I was welcome to borrow it. She knew that the tyres were flat, but it turned out that it needed about four hours of serious TLC to get it in racing condition. But my brilliant husband worked flat out to get it race-ready, including one 90 minute period where the two of us had to both turn into The Hulk to get one of the pedals off (attempting clippy shoes was a new experience too far). On Friday it was ready, so I cycled around Ely on Friday evening and Saturday afternoon just to get used to it. So, on to Sunday morning, and I woke up at horrid o’clock (6:50am for all you early super-keen types) and got dressed in my lovely Zoot tri shorts and a Nike top (again borrowed from Michelle). I then unlocked the garage whilst my bagel cooked, and saw THE FRONT WHEEL WAS OFF THE BIKE. At first I wondered why on earth Ian would think that would be a funny joke, but then I realised that the flipping thing was flat. It turned out that there was a flaw in the inner tube by the valve, and despite a panic twitter plea for a spare racing inner tube, I knew in my heart that with only 15 minutes before I needed to leave the house all was lost. So I took the sticker off the tri bike and stuck it on to my twice-as-heavy hybrid instead. The 20km bike ride had just become a whole lot harder. 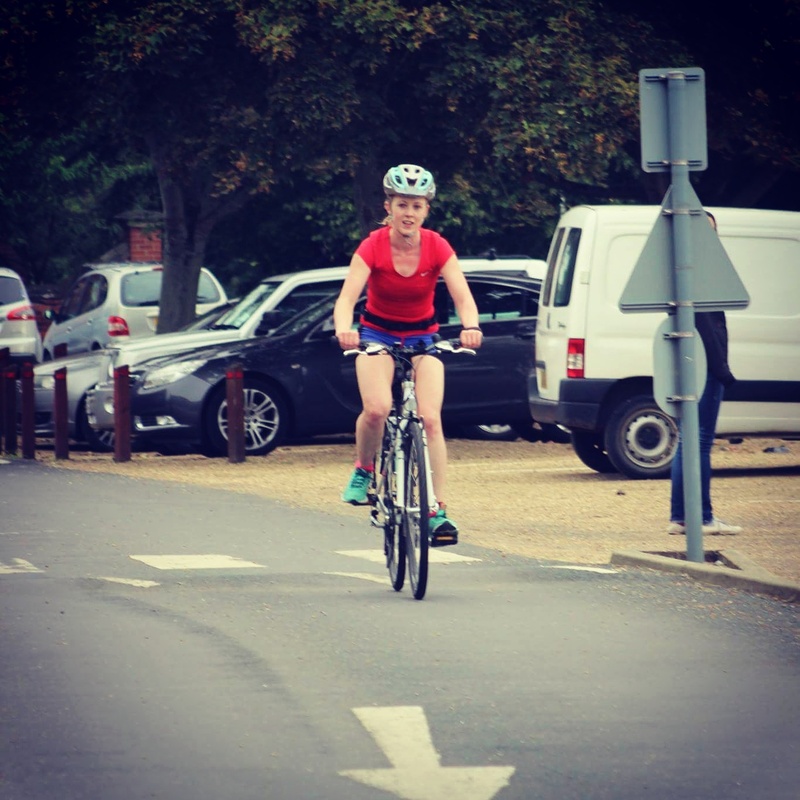 As I cycled from my house to the start at King’s School, I was upset about the bike but more because of all of the effort Ian had put in on a bike that I wouldn’t be able to use. But looking at the bigger picture, it’s lucky I had taken the tri bike out for about 5 miles on Saturday, because if I hadn’t that flat tyre would have hit around halfway through the 20km which would have ended my triathlon. So after stomping around and whinging for a bit and getting a pep talk from both my dad and Alan, I pushed the negative thoughts aside and decided to just enjoy it and give it the best shot I could. Because I hadn’t swum for about two years when I signed up for the tri and can’t front crawl so have to rely on my (fairly decent) breaststroke, I vastly overestimated how long it would take me to do the swim. This meant that I was one of the earliest competitors amongst slower swimmers. As it turns out I can manage 300m in around 7 minutes, so I had added more than 50% on with my 11 minute guesstimate. Luckily it didn’t have too much of an impact on my time, as (most of) the swimmers around me were really considerate and allowed me to get past them at the end of the lane, so I exited the pool at 7:33. As predicted my transition out of the pool was not fast as I pulled on my socks, race belt, trainers and helmet, and lifted my heavier than planned bike off the rack before running out of the gate. 1:17 had been added on to my time (the guy who finished first was out in 29 seconds! ), and I started the bike ride as I meant to go on – by BELTING it. I overtook my first road bike cyclist halfway up St Mary’s Street before the A10 roundabout, and I overtook my 2nd one just before the turn to Coveney. I was then overtaken by someone else on a road bike before overtaking another one halfway to Coveney. I went past the next one at about mile 9, careful not to draft at all after a stern warning by the Race Director during the race briefing, and then to my (competitive) joy I got past the woman who had overtaken me, and stayed ahead of her for the rest of the bike ride. To say I was pleased to only be overtaken once during my entire bike ride in a field of serious road bikes is an understatement. Ending the bike ride up Back Hill was torture and my quads were starting to question my sanity, but having Alan cheering my name and then seeing my parents grinning at me as I dismounted from my bike and ran to rack it again was just awesome. After failing to find my bike space for a few seconds, I got told by an amazed marshal that “I did well on that!” with a nod towards my bike, before taking a swig of water and exiting the pen for the final 5km run, cheered on by my friend Matt. That transition was 57 seconds which seemed sloth-like but actually in comparison to others wasn’t all that bad. The run was the weirdest and hardest part of all. I’m so used to feeling strong and fast on a 5km that this came as a bit of a shock. I knew it would be difficult, but the short sharp hills on King’s School’s fields were intense and I felt like I would be lucky to come in at 25 or 26 minutes. I felt SO slow and heavy-legged, and Alan’s yells of “head up!” and “use your arms!” were met with a one-fingered salute, much to the amusement of the crowds. But I finished without ever having to slow to a walk, and managed to actually spot the photographer at the finish line before collapsing in a heap at my parents’ feet and being congratulated by my awesome friends Pete, Rach and Diane who had come out to support me. As it turns out I completed the run in 23:33, making me the third fastest woman in the running leg of the triathlon, just 20 seconds behind the fastest. My complete time of 1:17:44 placed me as 6th woman, 5th in my age category, and the 37th competitor in a field of 101. 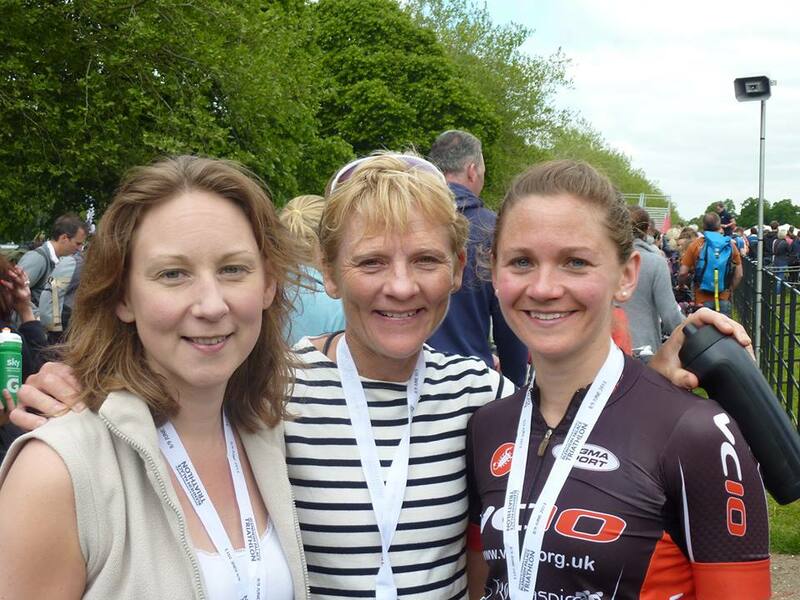 I thought that I would be pleased to complete the tri but have no desire to do another one. I was completely wrong on the second count. I LOVED it and am already looking for other ones to attempt. I have fully caught the tri bug. Unless I learn to front crawl my options for races may be somewhat limited, but I can’t wait to see what I could potentially achieve with a proper racing bike and a better understanding of the details such as transitions. As for the race itself, the Ely Sprint Tri is quite a small one, but despite this there were only some minor issues such as my getting the wrong stickers in my race pack so that I had to go back to the registration site to change them. I also would much rather get a medal for competing than a t-shirt, but then I am an epic medal tart and always want to add to my little plastic box of shiny discs. I’ll just have to work harder next year to get first place (ahem). Alan texted me afterwards to say “I think you’ve found your sport”, but I’m not sure about that just yet. One thing I know for sure is that I have never felt so exhausted after a race, so I can only assume that will get better with experience! That didn’t stop me from going on a shopping spree with my friend Elaine in Cambridge afterwards though. If I didn’t get a medal I was blooming well going to get a nice dress. 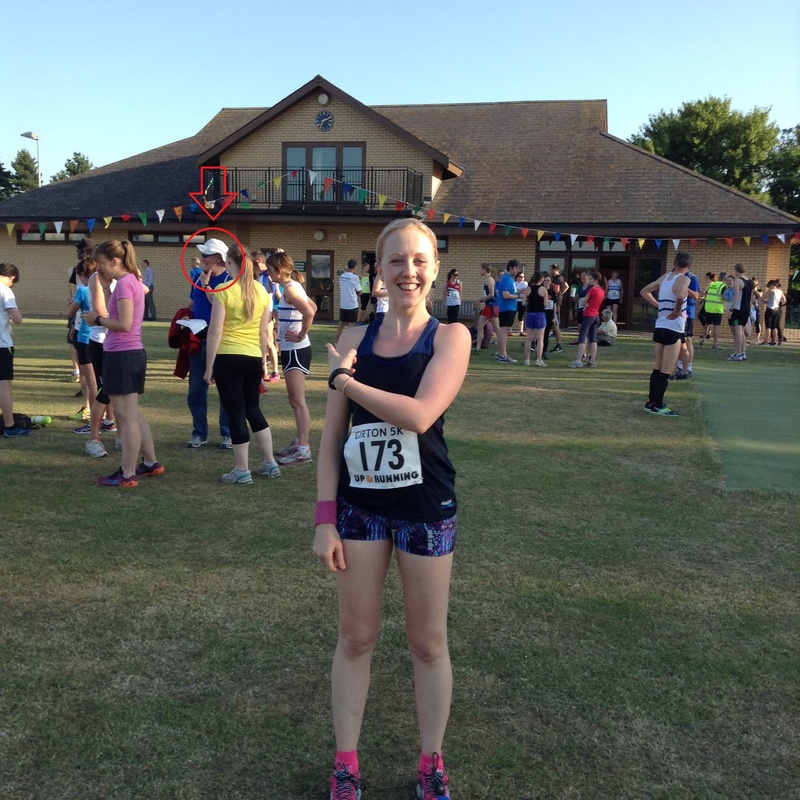 Running for Dummies – or should that be “with”? I had a shocker of a session last week. I should have seen it coming really. I’d had a dreadful road-rage filled commute to work, I was running sans-coach and I seriously procrastinated before leaving the office to tackle the 6 x 800m session on the West Cambridge site. You know when newsreaders shuffle papers at the end of a broadcast while they wait for the cameras to turn off? It was like that. My desk had never looked neater. But I trudged out there – see the choice of word there people – and surprise surprise it was awful. I had to stop on round three. I was forced to stop on round four when TWO FLIES went in my eye at once. I had to stop on round five and proceeded to kick a fence post. I then thought “no chuffing WAY am I ending the session like this”, so I forced the last 800m and didn’t stop. I didn’t feel good about it though. I felt like I had wasted an entire hour. Like a sensible person I huffed a bit and stomped off to do my weights session, obviously handling all of this like a grown up PRO whilst continuing to mentally chew the whole thing over. The thing is, I have a habit of being hard on myself. I’ve always felt like I haven’t quite achieved what I could or should have done. And I get frustrated so easily. It’s a lethal combination. So you can imagine my trepidation when this Tuesday and my next session with Alan rolled around. I had managed to tweak my back slightly on Monday so tackling Wandlebury with its hills and tree roots was out of the question (a reprieve!) so we settled on 200m instead. I thought we’d maybe do it 8 or at a push 12 times, but Alan announced it would be four sets of four off 30 seconds, with 4 minutes rest between each set. That meant 16 reps of 200m. Oh dear. So I did my usual thing of going off too fast and by the end of the first four I was doubled over, my legs feeling like lead and wanging on about how much I was hating it. Basically I was having a hissy fit. But Alan has seen all this before, and he watched me have my tantrum with a slight smile on his face before asking me what the problem was. I told him it felt like I was running through treacle. And that, in a nutshell of a sentence, is why Alan is the perfect coach for me. If I’d been on my own I would have bailed halfway, but in just a few words he managed to compliment me, make me laugh and snap me out of my bratty mindset. And so I did carry on. I brought my arms up high, kept straight and stopped doubling over (thereby squashing my lungs) at the end of each sprint and instead walked around, taking deep, restorative breaths and sips of water. By the time I finished I felt like I had pushed myself as hard as I possibly could have done, and most importantly, I felt strong again. Plus I reminded myself – I’m not a sprinter, not by any stretch of the imagination, so what I had just achieved was pretty flipping awesome. And why did it feel like I was running through treacle? Because I was, on average, 4 seconds faster per rep compared to the last time we did this session. 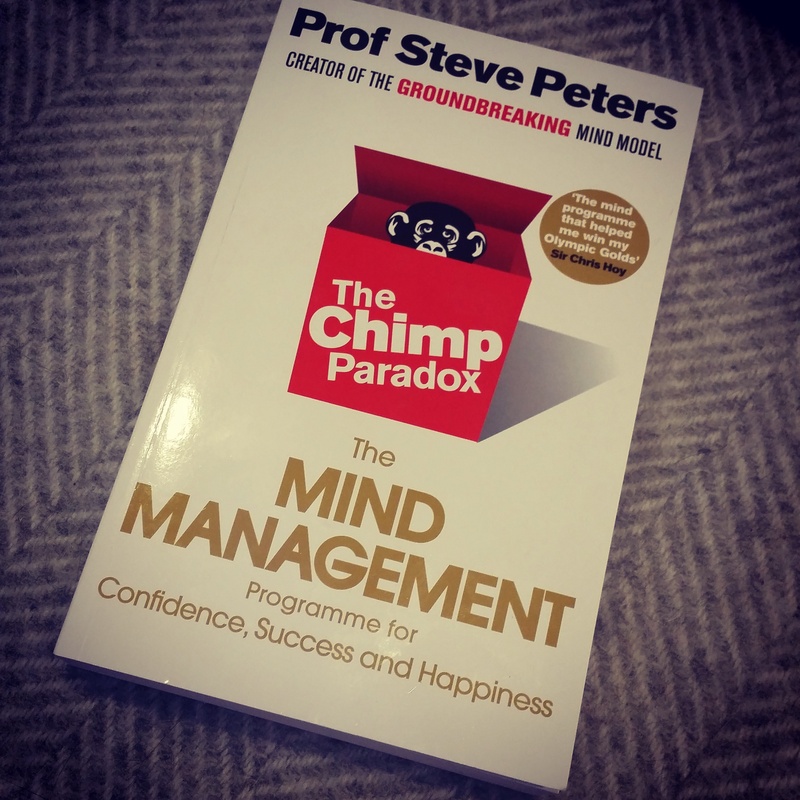 If I’m pushing myself that bit harder, of course – OF COURSE – it’s going to hurt more. And as I know I’ve said before, if these sessions were easy there would literally be no point to them. After the session we had a little chat about how even though my running is coming along in leaps and bounds, my ability to control my head still has a seriously long way to go. I’m not sure how I’m going to tackle that just yet (answers in the comments section please!) but in the meantime, at least I’m not dreading next week’s session (even though he parted with his favourite sentence of “you’re not going to like it”). The only problem now is, if I can’t have a successful session without Alan talking me off the ledge, has he become my new dummy, something I can’t successfully train without?